According to the Chinese dailies(Lianhe Wanbao), a 46-year-old woman opened the car door and jump out of a moving car on the 2nd day of Chinese New Year. 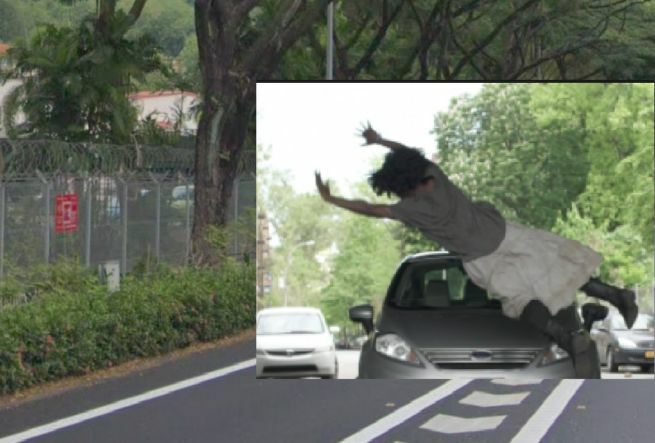 The news stated that the woman jumped out of the car after an argument with her husband at around 9am, It happened while the vehicle was moving towards Tuas on PIE. The husband immediately stopped the car and found his wife bleeding with injuries on her head and limbs. She landed head first on the road. An ambulance was called to the scene and was send to NUH. Police are currently investigating in the incident. Next Article HUSBAND AND WIFE JAILED 3 YEARS FOR MAID ABUSE!